Our patented system allows for fast and precise work. We shoot and deliver photos & VR tours within 24 hours. Potential buyers can experience a beautiful, realistic virtual walk-through tour of your home without leaving theirs. 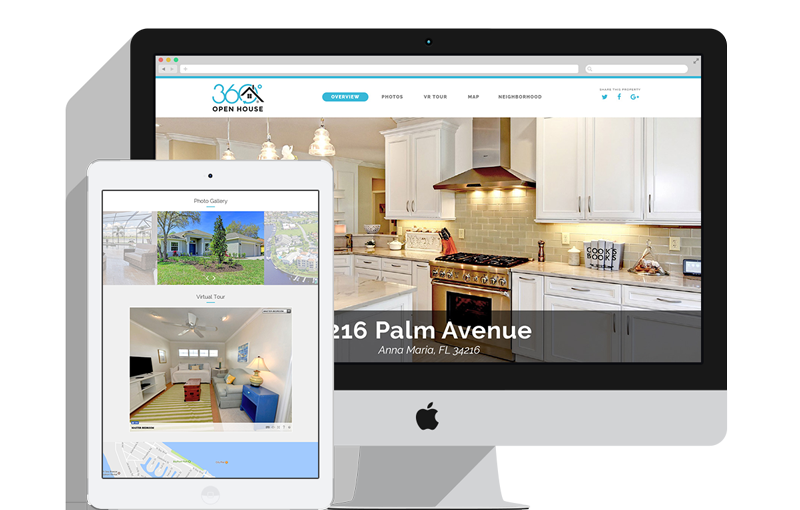 We build custom landing pages for every property with a gallery, 360° VR tour, neighborhood info & more.